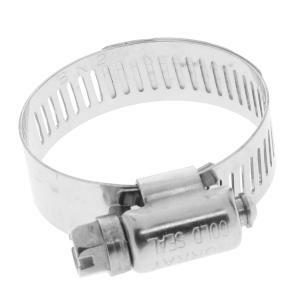 Hose clamps, such as these stainless steel worm gear clamps, are used to secure barbed type insert fittings into hoses of all kinds. A great choice for using with Layflat distribution hose and fittings. These durable stainless steel hose clamps are handy for many other things as well, so won't hurt to have a few extras laying around.